The early portion of the 2017-2018 schedule has taken the Texas Legends on the road. The first four games will be played away from Dr Pepper Arena and so far, two down with two to go. After opening with a win in Austin against the Spurs, five days off separated a venture out west to square off against the Agua Caliente Clippers in Ontario, California. The Legends fell 118-117 on Friday night, evening their early record at 1-1. Two-way player Gian Clavell made his first appearance with the club this season, scoring a game-high 29 points, including a 12 point third quarter where the team scored a whopping 37 points to only 22 for Agua Caliente. Clavell made 11-of-21 shots, half of his 12 three’s and also grabbed seven rebounds. For the first time ever, both two-way players suited up and both showed why they earned their prestigious contracts with the Mavericks organization. 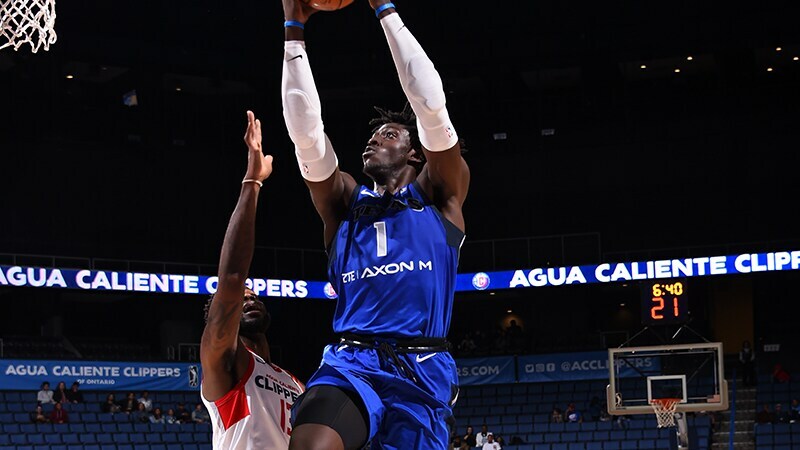 Again starting at center, Johnathan Motley scored 20 points, grabbed eight rebounds and dished out three assists. He also made all four of his free throw attempts. After 35 points in the opener, Justin Dentmon followed his opening act up with 23 more. Donald Sloan racked up 21 points, five rebounds, five assists and three steals off the bench. The veteran pair form one of the G League’s elite point guard duos. Brandon Ashley rounded out the double-figure scorers with 13. 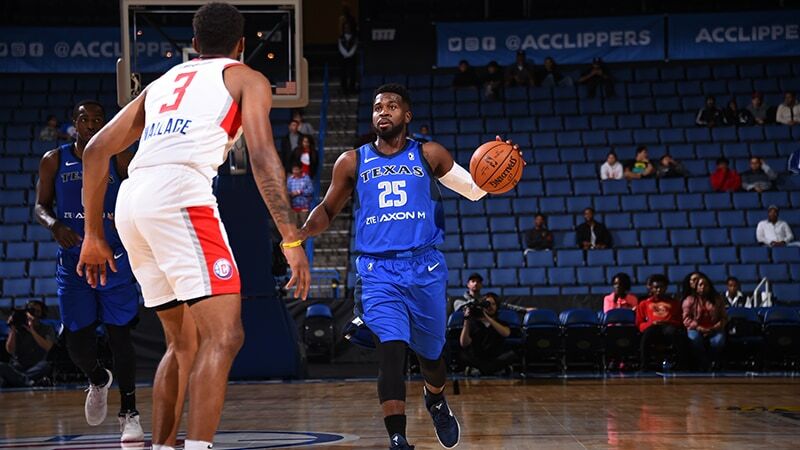 Halfway through their inceptive road trip, a quick bus ride from Ontario to El Segundo will have the Legends meet the South Bay Lakers on Sunday night at 5 PM PT/7 PM CT. The Lakers, formerly known as the Los Angeles D-Fenders, have started the season 2-0 after a pair of wins against Santa Cruz. They will face off against the Spurs on Saturday in the first half of a back-to-back that concludes with Sunday’s tilt against the Legends. Through the two games, the Legends have two of the league’s top scorers, with Clavell and Dentmon averaging 29 points. Texas is so far scoring 120 points a game and their signature fast pace has continued this year, attempting 95 shots a game, second only to Memphis by less than a shot. To catch the Legends vs Lakers matchup live Sunday night visit www.TexLegends.com.